The U.S. Department of Agriculture's National Agricultural Statistics Service is contacting producers for the March Hogs and Pigs Survey. The agency will survey pork producers for detailed information on market hog and breeding stock inventories as well as pig crop and farrowing intentions. "According to the most recent Quarterly Hogs and Pigs report in December, there were 74.6 million hogs and pigs in the United States," said Bill Meyer, Director, Mountain Regional field Office. "The March survey and resulting report will continue to provide important indicators for the industry of what changes are occurring - if any." NASS will mail the questionnaires to all producers selected for the survey in February. To ensure all survey participants have an opportunity to respond, NASS interviewers will contact producers who do not respond by mail or online to conduct telephone and personal interviews. "The data gathered in these quarterly surveys allow NASS to accurately measure and report conditions and trends in the U.S. pork industry over the course of the year." Added Meyer. "The information is used by all sectors of the industry to help make sound and timely business decisions." As with all NASS surveys, the results of this survey will be available in aggregate form only, ensuring that no individual operation or producer can be identified. 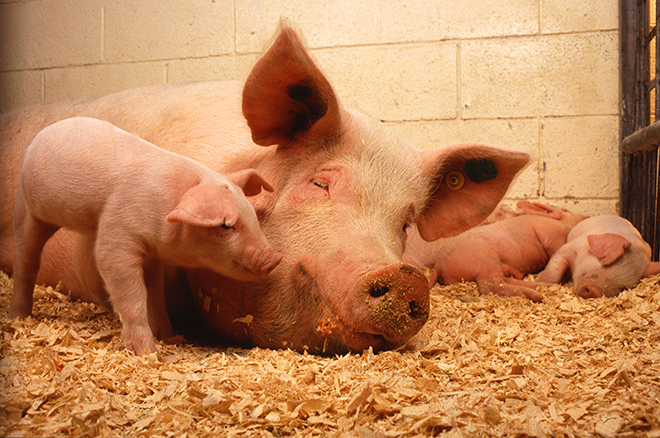 NASS will publish the survey results in the Quarterly Hogs and Pigs report on March 28.